Reduce Your Sugar: Did you know there are 40g of sugar in a 12 oz can of pop. So what does 40g look like? It's 10 teaspoons of sugar. 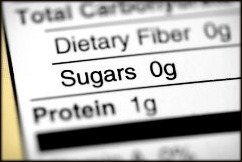 The USDA recommends you limit your sugar intake each day to 10 teaspoons a day. One of our more important healthy weight loss tips is to reduce your soda intake. And, everywhere in your diet that you can reduce foods with added sugar will help you towards your weight loss goals. Read Labels You may be reading labels for transfats, and working hard to avoid these foods. Look at sugar content. Don't substitute high sugar for low fat! Drink more water. Researchers in Germany found that subjects of the study increased their metabolic rates by 30 percent after drinking approximately 17 ounces of water. 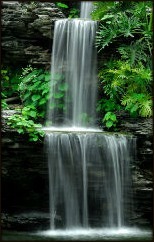 Water is also a natural appetite suppressant and it flushes out sodium and toxins. Eat More Lean Protein. Eat less fat and carbohydrates. Your body burns twice as many calories digesting high-protein foods such as eggs, chicken, or nuts, as it does foods that are high in carbs or fat. Increase overall physical activity. If starting a physical exercise program is too overwhelming to contemplate right now, start more simply. Never sit when you can stand. Do take the stairs instead of the elevator. Do walk up the escalator rather than stand still. Don't stroll when you can stride. Look for the farthest parking space from the store. Add in movement whenever you can. Add Interval Training to Your Aerobic Workout Interval training means to add in high intensity aerobics while doing your regular workout. It looks like this: 3 minutes of moderate aerobic exercise, 30 seconds of all out effort...3 minutes at moderate, 30 seconds full on effort. What do you get if you follow this healthy weight loss tip? You get another 100 - 200 calorie burn AFTER you have finished working out. Take a Fish Oil supplement Fish oil increases fat burning enzymes, and decreases fat storage enzymes. And since we want less storage, this is a benefit. For the best metabolism boost take 300 milligrams of EPA and DHA total. If emotional eating is interfering with your weight loss goals, we teach more specific ways to deal with this by using hypnotherapy exercises you can do at home. You will find these in the Platinum version of Thin Fit Fabulous You. This page may answer your questions about weight loss and hypnotherapy. 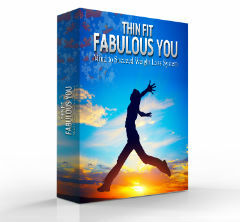 Or you can go straight to the page with more details about Thin Fit Fabulous You.